SoftBums focus has always been comfort for your baby. 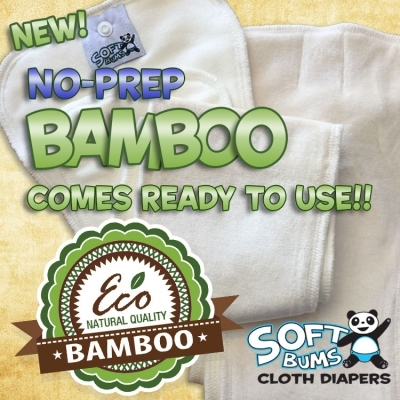 We specialize in high quality Bamboo diapering products, and now with our Newest No-prep Bamboo your baby can enjoy the comfort right away! Bamboo is a weird thing i haven't heard of and it seems amazing. The fabric is soft and it looks like it would hold up pretty well on a baby. Super soft and look very comfortable for baby and has great size for multiple months. Product is soft and packaging is simple so buyer knows why and what they are purchasing.